The Advantage Grip product is made of Birch Plywood. Sides are 3/4" 9 ply and top and bottom are 1/2" 7 ply. 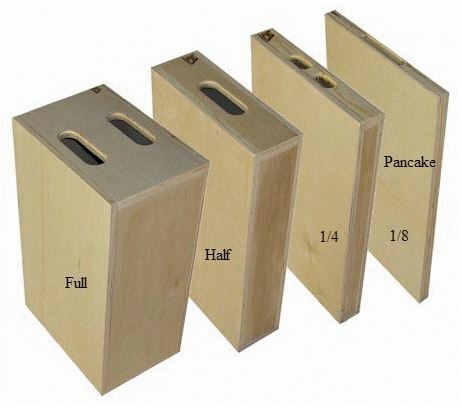 All apple boxes use plywood as a center support for additional strength. Boxes come unfinished so you can apply the stain or paint of your choice. Sizes Available: 8", 4", 2" and 1" thickness for easy leveling. Used in grip trucks, grip vans, stages and studios as they are an essential piece of grip equipment.